and go forward from there. We know our product isn't our space, our equipment Or our programming. It's Our Coaching. We deal in relationships, and our goal is Depth. Born and raised in Dayton, Sarah Flach is a key player on many teams. She's mother to three boys, whom you will find often running around the gym. Raising a family in Beavercreek with her husband, John, she is an alumnus of Carroll HS and Case Western Reserve University's soccer programs and is currently the head coach of the Women's team at Carroll. Sarah has spent much of her life being active and enjoys sharing her love of movement with anyone who walks through the door at DSC. Sarah believes that all ages and abilities should be comfortable in the gym, from the youngest athlete, who is just learning to move correctly, to the pregnant or post-partum mom, trying to stay healthy and mobile, to the grandparent, hoping to keep up with the grandkids. Around the Gym, Sarah works as a membership coordinator/problem solver in addition to leading the Beginner Strength, Youth and Tots classes. Zak is trying to connect the dots. A past life as a globetrotting business management consultant (human capital, professional and organizational development) bred a healthy respect for capability and a desire for efficiency. As a fitness enthusiast -whatever that means- the leap from coaching businesses to coaching athletes and individuals happened naturally while working and living in Dubai. 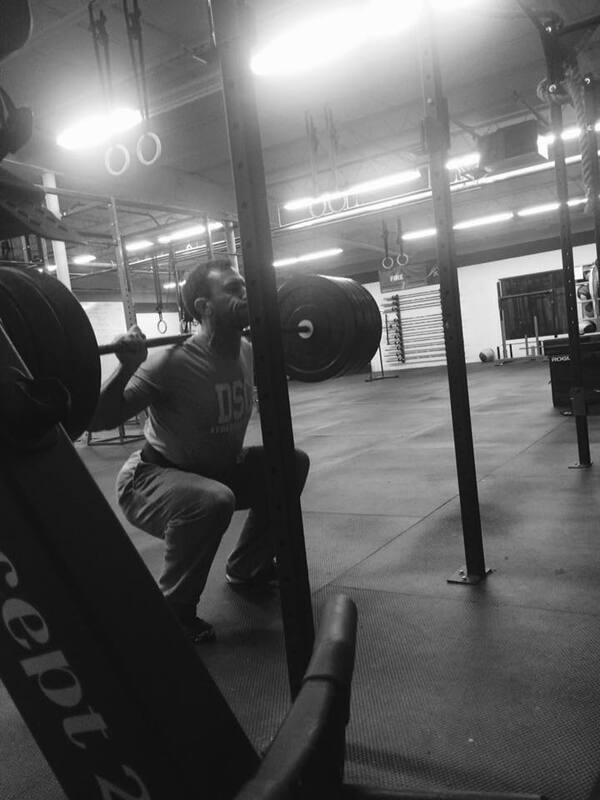 Returning stateside in 2015 to start a family landed Zak back in his hometown of Dayton, and DSC quickly became a home base to work out the itch for continued physicality and progression as a new father. You can take Zak out of the corporate world, but you can't take the corporate world out of Zak. He is still streamlining; Trying to find what is useful -and discard what is not- to develop a group fitness experience that works. Keith Mueller is a student first, teacher second. As an athlete, insatiable interest in all things physical has led to varied experience in road and trail running, road and mountain biking, climbing, and rowing, with gym work always playing a supporting or central role. Motivated by an equally insatiable desire to be useful, Keith works with athletes of all ages and backgrounds to find opportunities for growth. Keith also serves as an assistant coach for the 2014,'15,'16, and '17 Division 1 State Champion Centerville girls Cross Country team. He counts himself lucky to work as a professional coach and sees every conversation with someone who values his opinion as something worth protecting. Holley Mangold's resume speaks for itself. A Dayton Native and a graduate of Archbishop Alter HS, Holley spent time in high school football, track & field, and competitive powerlifting before finding her home in Olympic Weightlifting. Since taking up weightlifting Holley has competed for the USA in the 2012 London Olympics, the 2014 and 2015 World Championships, and the 2015 Pan American games. Holley Competed for selection at the 2016 Olympic trials and has since turned her attention to coaching. A Student of the sport, Holley has been coaching weightlifting since 2009 and is currently the head coach for THE DAYTON BARBELL CLUB. Ani Manukian is Dayton Strength's resource for all things nutrition. Originally from Pickerington OH, Ani graduated from Miami University with a Bachelor's degree in Dietetics, moving on to complete her dietetic internship through Louisiana Tech University and obtaining her Registered Dietitian status in 2016. After a long career in competitive gymnastics and a period away from organized sports, Ani found weightlifting via the Dayton Barbell Club and is currently thriving under coach Holley's guidance.